Are you searching for the best Zip app to download on your Android smartphone but still confused on which to choose? Search no more because this post is for you. You can now download the top best zip app, Rar app and unzipping app for free without paying a dime. For your information, these zip apps are very important tools and required to unzip or open zipped files downloaded from the internet. For instance, some football games with huge OBB data files are usually compressed and zipped in one folder so that it will be easier to upload and download. So after downloading such files, you need a zipping or rar app open and have access to the files inside the folder. Moreover, there are also other files that comes in ZIP or RAR format and you wonder what to do with them. This files are known as archive files and require you to decompress them so you can access them. This is where you need these apps. Before now, most Android users were used to two popular decompressing app namely; ZArchiver and Es Explorer but in this post, we will extend it to more other useful and alternative apps. Below are the best best zip apps and the links to download each of them at no cost. ZArchiver gradually gaining popularity amongst Android users lately because of its features. It’s a free-to-use archive app, that easily opens files locked in RAR format and zip format on Android. It has an interface that is decluttered that does not affect the eye in a negative way and does not contain ads. You can also use ZArchiver to create archives in the following formats 7z, ZIP, XZ, and GZ. For extraction purposes, decompressing can be done on RAR, 7Zip DEB and ISO files. Additionally with this app, it is possible to archive contents without needing to extract them and even edit archives contents by the addition and removal of files. Also, ZArchiver can also act as a solid file manager. Learn more about ZArchiver and Download it here. 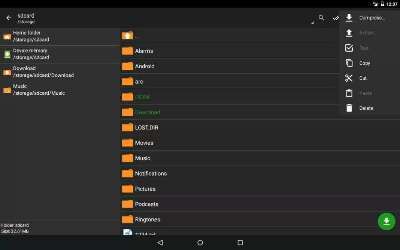 Es file explorer is a Multipurpose file manager app that also have built-in Zip and Rar tools support. The app can be used to access all media files on your Android phone, create zip or rar files, open zip or rar files, save documents and files on the cloud, manage your files remotely from PC, play video contents, view images, view and edit word documents and lots more. To most people, es explorer is the best zip app although there is a premium and free version. So of course, the premium version supports more features than the basic free version. Learn more about ES file explorer and download here. As the name suggests, RAR also called “WinRAR” for Android is a popular archiving app. It has a logo similar to the iconic WinRAR logo for windows PC, which brings back memories for older computer users. Meanwhile, the app supports a limited number of file formats and extensions but will allows you to unpack files from RAR, ZIP, TAR, GZ, BZ2, XZ, 7z, ISO and ARJ formats, while only RAR and ZIP formats can be archived. WinRar for Android also lets you unlock Password protected ZIP files. The app design is cool and amazing. 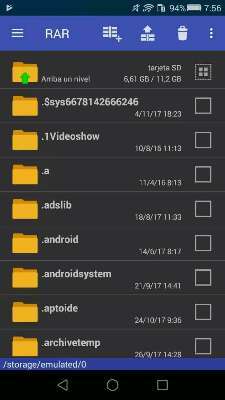 Root Explorer is a file manager that also works as an archive app but users needs root access to enjoy the full feature available. It’s one of the best zip apps available for Android Smartphones. that makes it to the list as one of the best. It’s easy to use. The app design is user friendly and it allows you compress and decompress files to your preferred formats. I think this app name is self explanatory. With Easy Unrar, Unzip & Zip, you won’t face any trouble to unzip RAR and ZIP files. It allows you to open the archived files in the in-built-in browser of the app and is compatible with all versions of the RAR files, password protected and multi-part files providing you with ability to perform many tasks in a single app. In fact, the ability to view archived contents without even decompressing them is one of the best features of this app. Extracting any file is as easy as you selecting it and then extracting it, after which you can open the files directly from the app. But I wonder why it’s not really that popular as others. B1 Archiver is one of the popular tools used in zipping and unzipping a variety of archive files. The app supports some popular archives formats like zip and rar, but it is also compatible with a total of 37 other formats. That’s very useful if you find yourself working with unique or uncommon archive file format you don’t run into everyday. Other support options are multi-part rar and b1 archives. The app has a good design and is a great app. However, a fee of $1.99 is required to be paid if you want to enjoy premium features without advertisements. 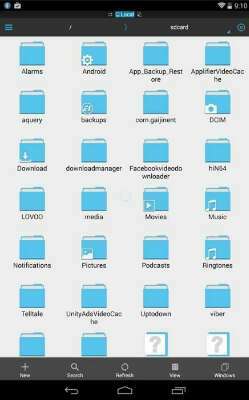 I believe this archive apps are very important and useful for any Android phone user that enjoys downloading games and other heavy files that are usually compressed or locked with password. Now you have a handful of Zip, Rar and other decompressing apps to download and use on your phone. These apps are available on google play store which is the official app store for Android devices. Expect best zip apps for iOS devices soon. See app ratings below.